Nyung-Ne (pronounced nyoo-nay) is a practice of Chenrezig, the Buddha of Compassion. It is a retreat of body, speech and mind from non-virtuous actions in order to purify negativities and accumulate merit. 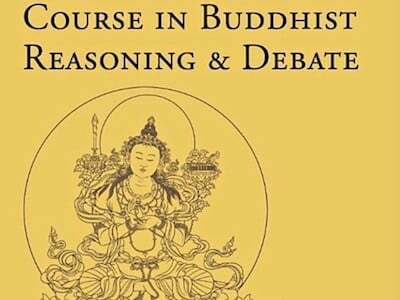 It includes taking the Mahayana precepts as well as committing to complete fasting and silence on the second day. 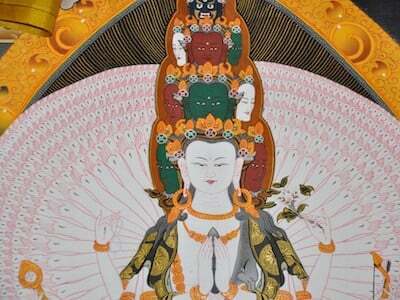 Nyung-Ne is extremely powerful for healing illness, purifying negative karma, and opening the heart to compassion. 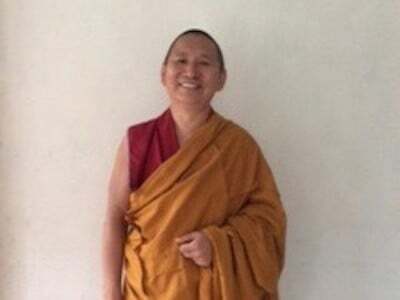 The nun Bhikshuni Palmo originated the Nyung Nye practice in India many centuries ago, through which she was healed from leprosy and gained the superior realizations of a bodhisattva. See photos from the 2018 Nyung Ne. Applicants should have some familiarity with Chenrezig practice and be in good health, especially being free of hypo- or hyper-glycemic concerns, including diabetes. This schedule is for two consecutive nyung-ne practices. Retreatants may choose to do only the first one or participate in both. All retreatants must arrive by 5:00 pm on Nov. 27. Please read: Background on the Nyung-Ne practice. 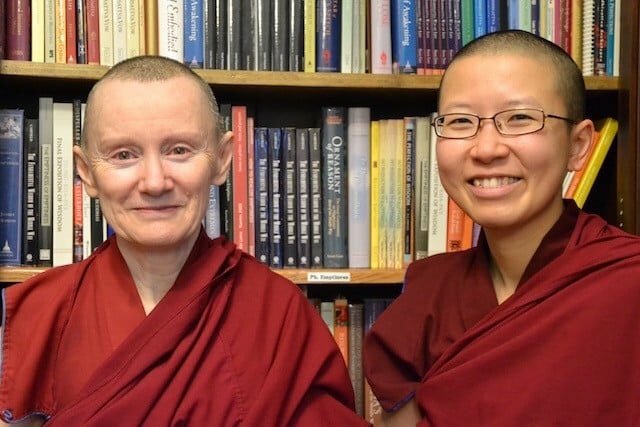 Look at the Nyung Ne texts available from the FPMT Foundation Store. Read Cultivating a Compassionate Heart: The Yoga Method of Chenrezig by Thubten Chodron. Like all Abbey programs, the Nyung-Ne retreat is offered on a donation basis. An offering and registration form are requested to reserve your place for the retreat. For more information, email the office or call 509-447-5549.